Reflections in the still waters of Lake Matheson on the South Island of New Zealand. Early morning mist remains as the rising sun illuminates the rain forest surrounding the lake. 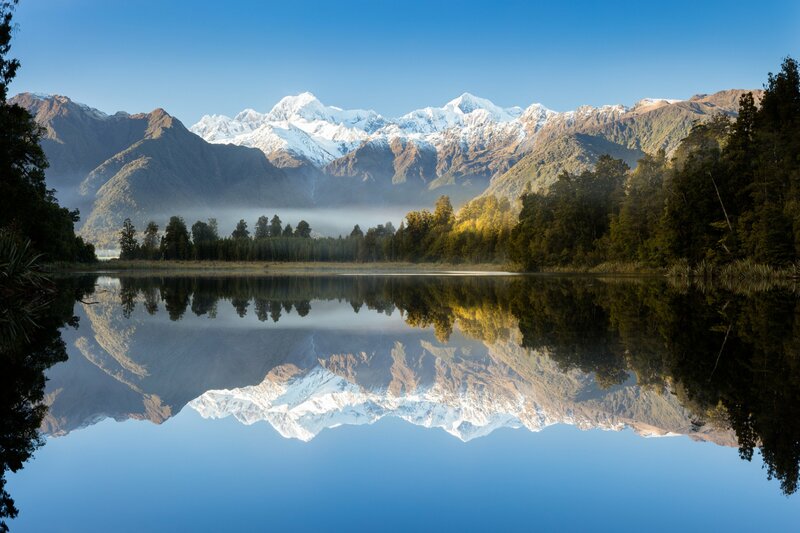 Lake Matheson is a popular destination for tourists visiting the West Coast of New Zealand. It is well known for its reflections of the surrounding forest and mountains, including New Zealand's tallest mountain Mount Cook.